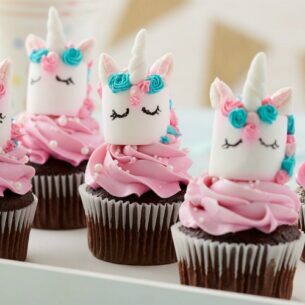 Nothing says, “I love you” like a delicious treat to eat! 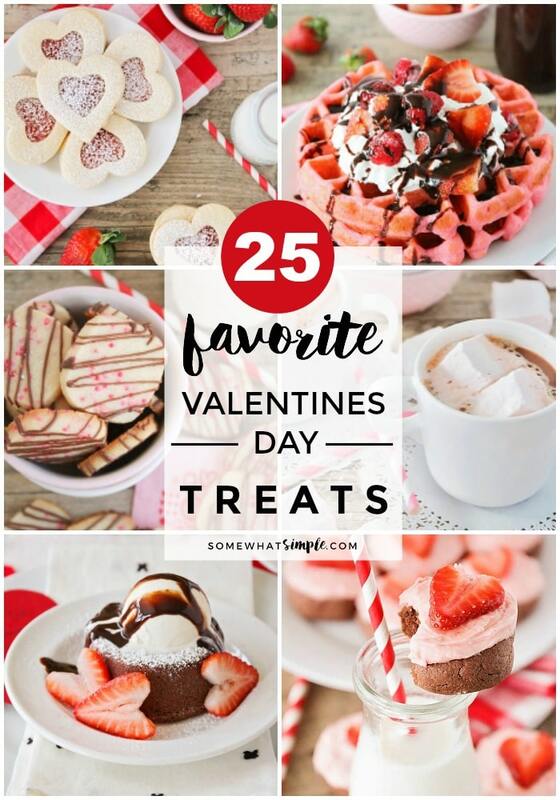 Here are 25 of our favorite Valentines Treats! 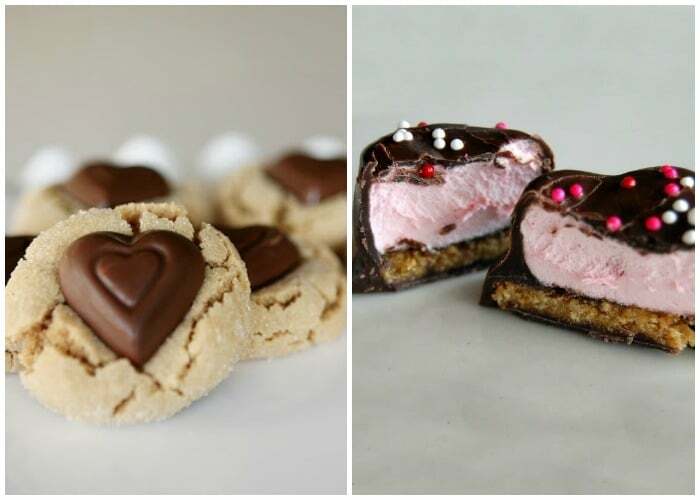 1 || These rich and buttery Valentine Shortbread Cookies are so fun for Valentine’s Day! 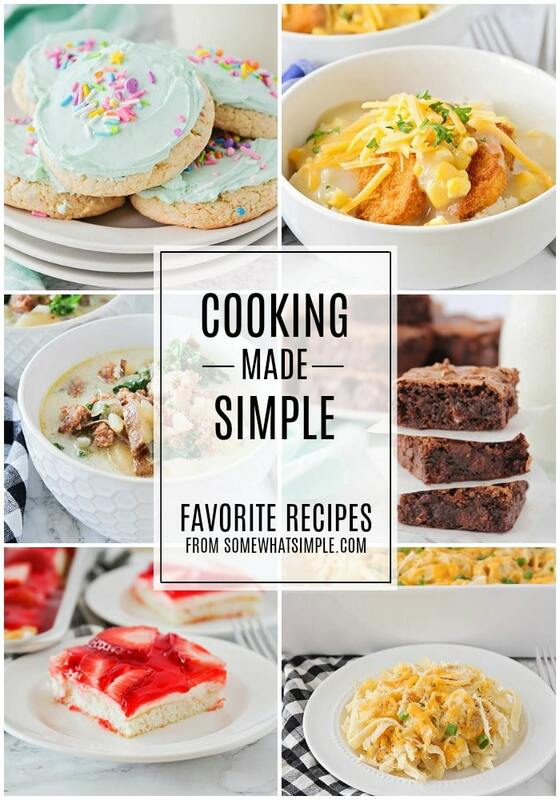 Simple enough that the kids can help, and so delicious too! 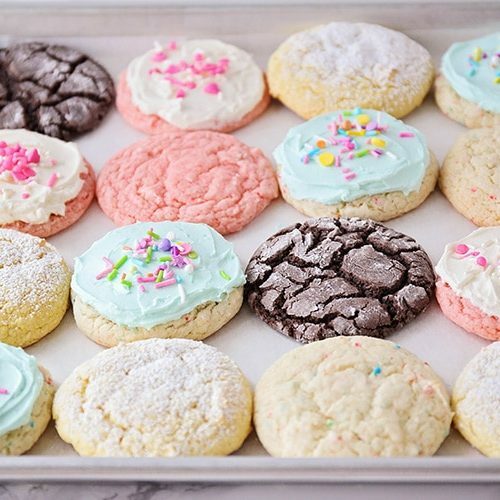 2 || These beautiful and delicious strawberry linzer cookies are simple to make, and perfect for sharing with those you love! 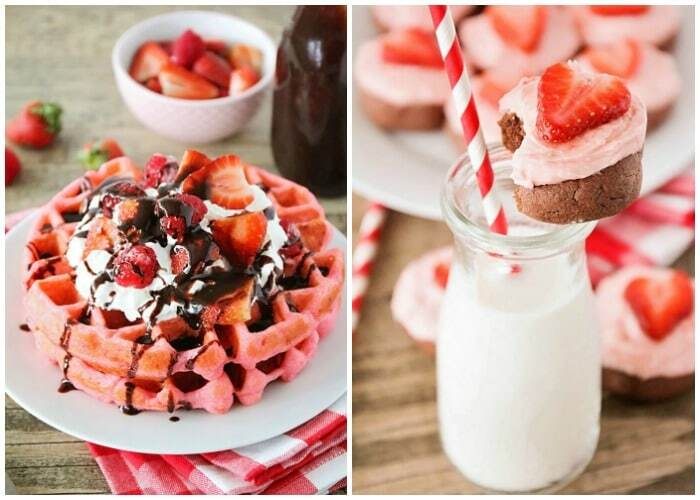 3 || These pink velvet waffles are so fun for Valentine’s Day, and so quick and easy to make! 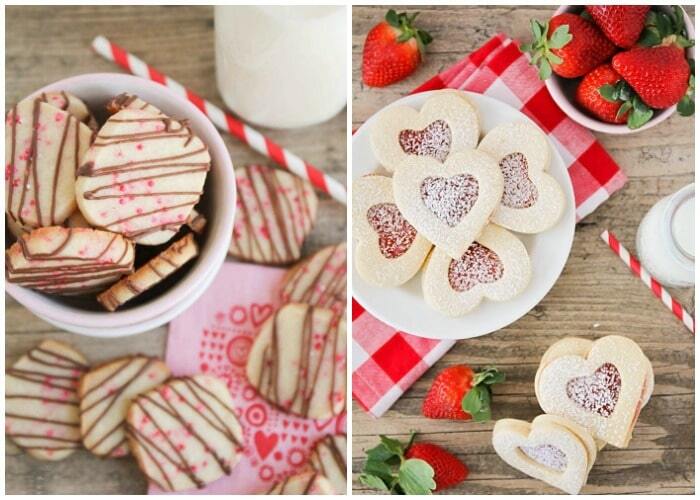 4 || These chocolate strawberry sugar cookies are adorable and perfect for Valentine’s Day! 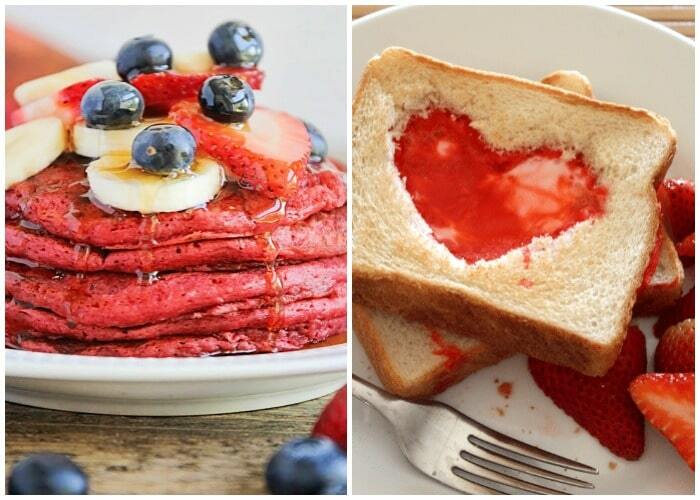 5 || These red velvet pancakes are so indulgent and delicious! 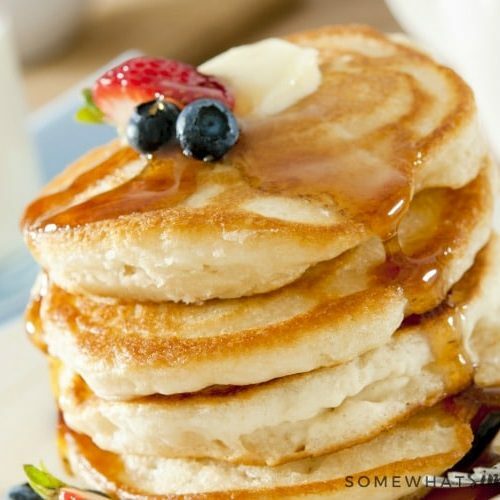 6 || My mom used to make Eggs in Toast all the time! 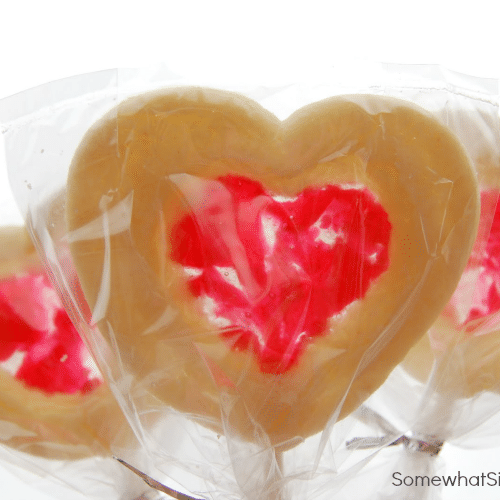 Here is a heart-shaped version that your kids (or special someone!) will love! 7 || Here is a super simple Valentine’s Day drink everyone is sure to LOVE- Cupid Floats!!! 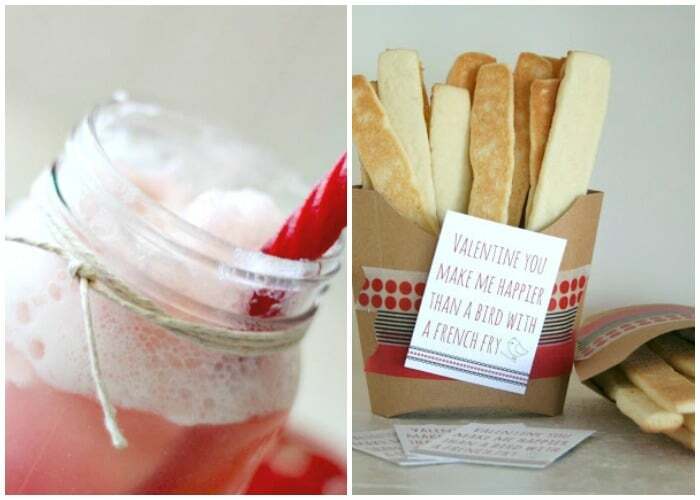 8 || French Fry Valentines, from Crafted Sparrow. 9 || Planning a romantic dessert date night is so easy and fun! Elegant decorations and a luscious molten chocolate lava cake recipe will make it a night to remember. 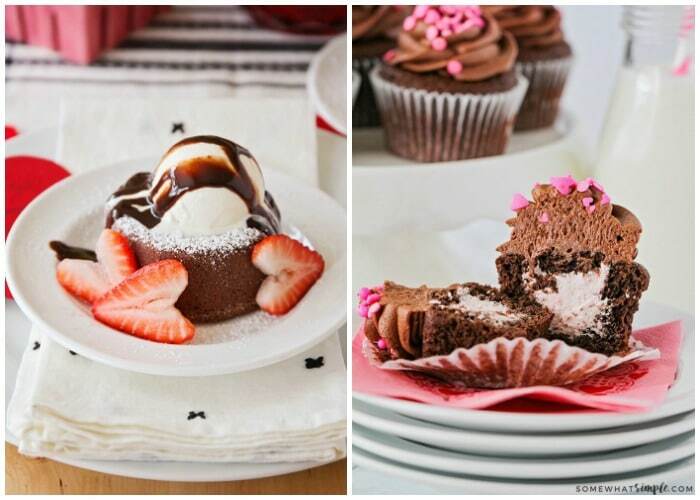 10 || These delicious chocolate fudge cupcakes just might change the way you make cupcakes forever!!! 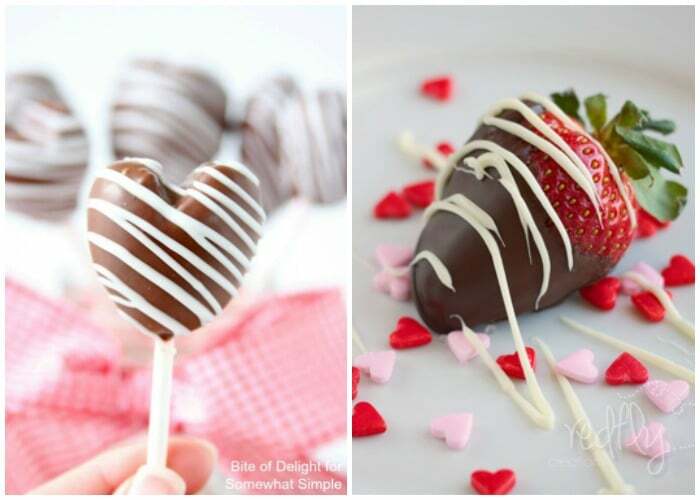 11 || Chocolate Covered Strawberry Heart Pops are festive and delicious, and easy to make for the people you love! 12 || Chocolate Covered Strawberries, from Redfly Creations. Halfway through our Valentines Treat list! Let’s keep going! 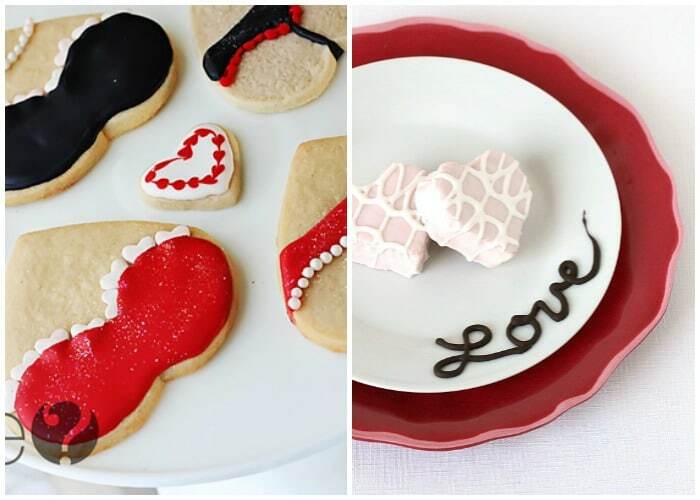 13 || Lingerie Valentine Sugar Cookies, from How Does She. 14|| How to make your own diy chocolate garnish to dress up food and drink for special occasions. From Celebrations at Home. 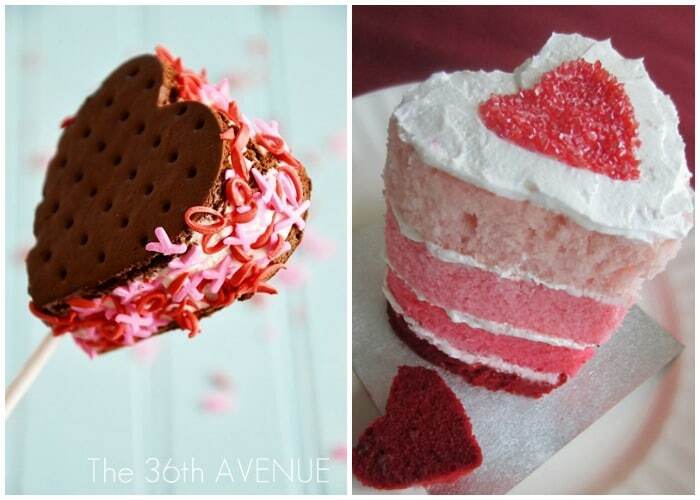 15 || These Heart Ice Cream Sandwiches can be ready in less than 3 minutes! From The 36th Avenue. 16 || Mini Valentines Ombre Cakes, from A Little Claireification. 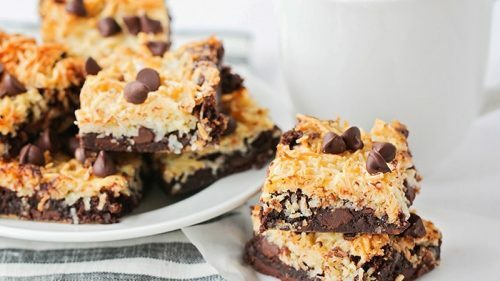 18 || These Valentine S’more Bites are a delicious treat that are super simple to make! 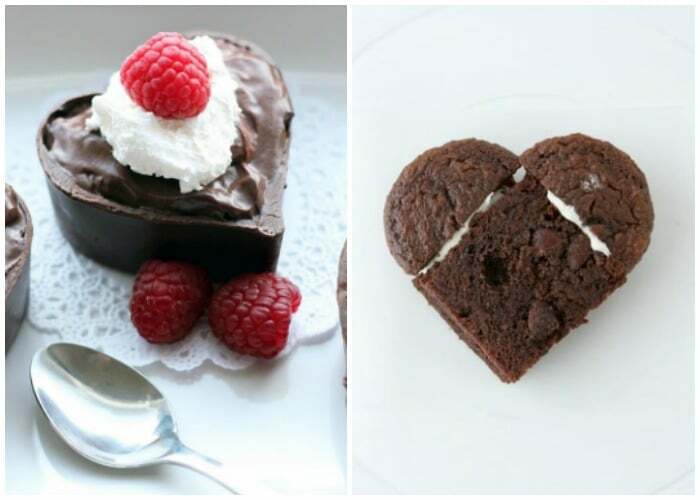 19 || Chocolate Heart Pudding Cups, from Worth Pinning. 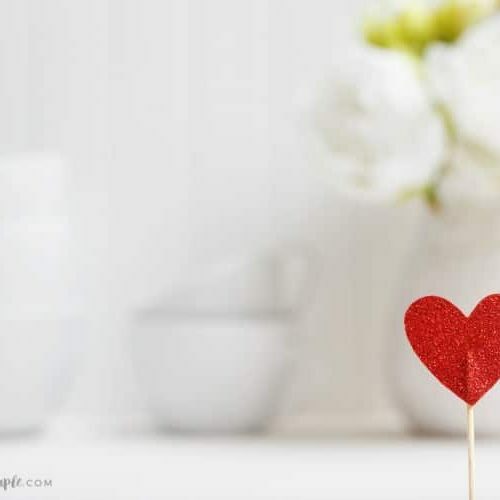 20 || Mini Heart Cakes are the perfect way to celebrate Valentine’s Day…or any other day you want someone to feel extra loved! 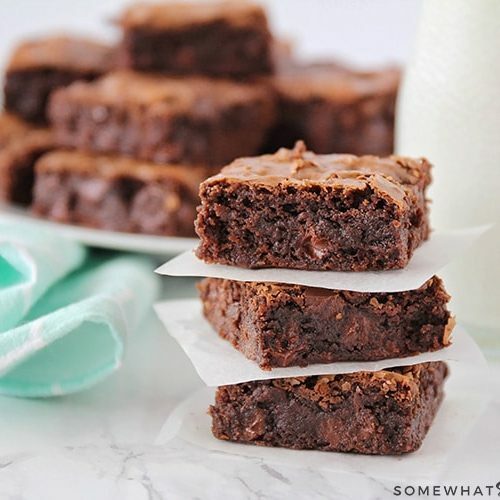 They’re simple to make and don’t require a specialty cake pan…which will save you money and cupboard space! 21 || Strawberry Heart Oreo Cookies, from Thirty Handmade Days. 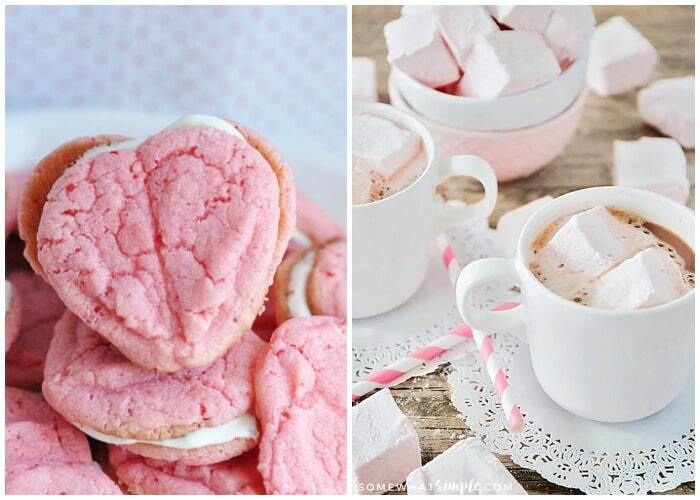 22 || These gorgeous pink homemade strawberry marshmallows are surprisingly easy to make, and perfect for s’mores, hot chocolate, and valentine treats! 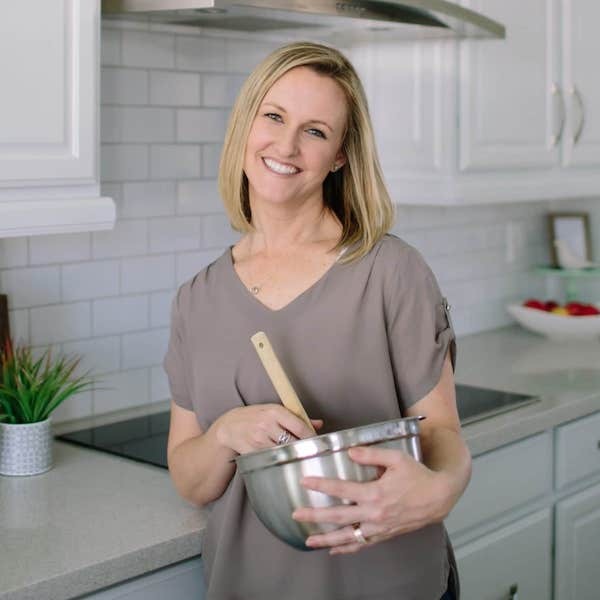 23 || Valentines Day Lunch Ideas, from Lisa Storms. 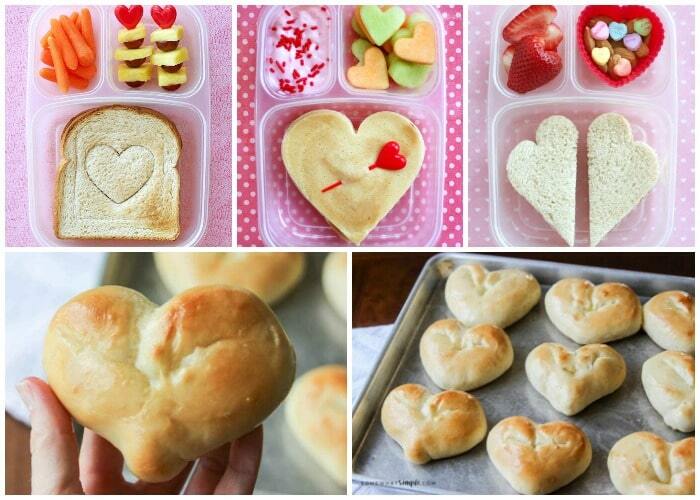 24 || Easy heart shaped dinner rolls – perfect for Valentine’s Day! 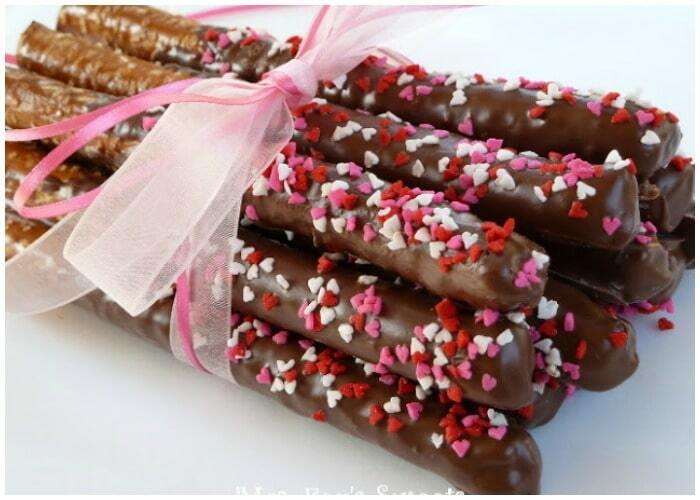 25 || Chocolate Dipped Valentine Pretzels, from Ms. Fox’s Sweets. Um… anybody still there? Hello!? We hope you love what you see! !